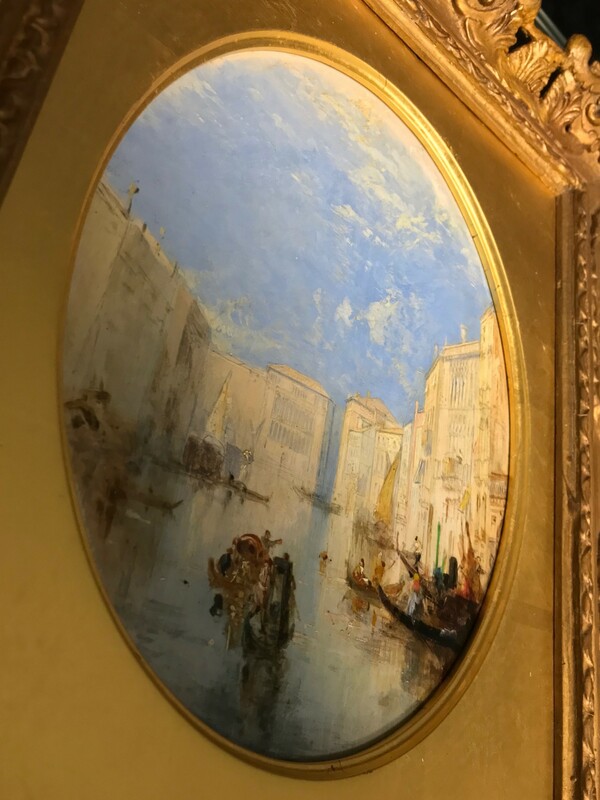 A framed oil on board by Thomas Creswick RA depicting the grand canal, Venice. Signed. 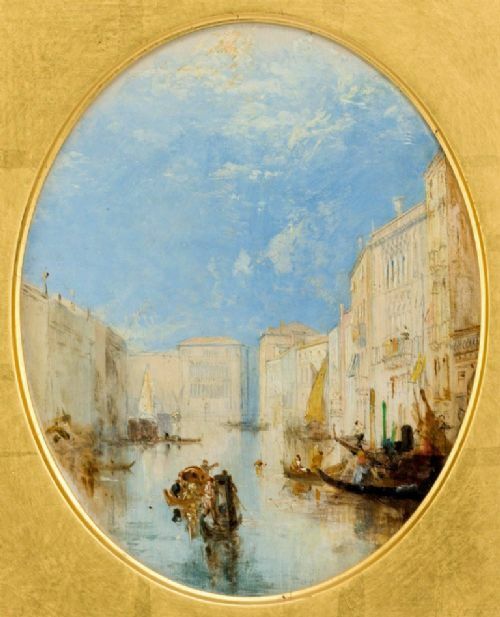 Thomas Creswick was born on 5th February 1811 an died on 28 December 1869 he was an English Landscape painter and illustrator, born in Sheffield , son of Thomas Creswick and Mary Epworth and educated near Birmingham. At Birmingham he first began to paint. His earliest appearance as an exhibitor was in 1827, at the Society of British Artists in London; in the ensuing year he sent to the Royal Academy two pictures named Llyn Gwynant, Morning, and Carnarvon Castle. About the same time he settled in London; and in 1836 he took a house in Bayswater. He soon attracted some attention as a landscape painter. 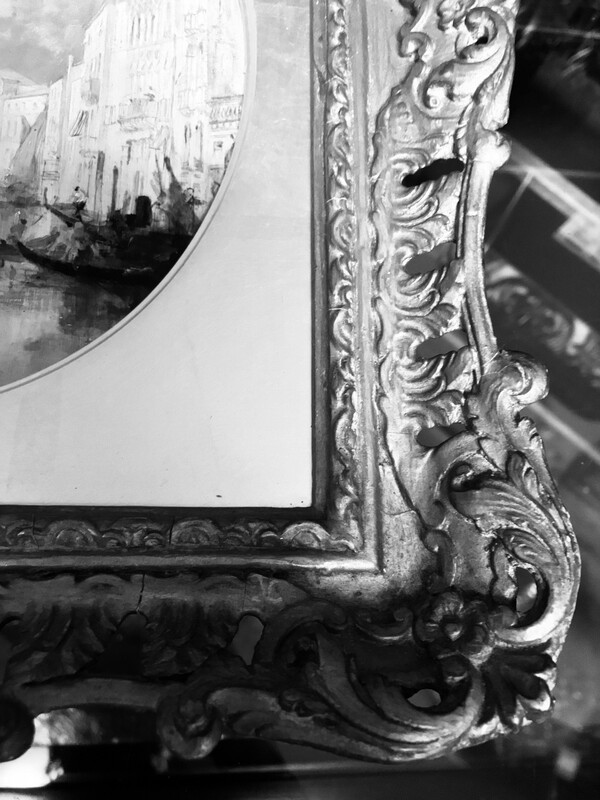 In 1842 he was elected an associate, and in 1850 a full member of the Royal Academy, which, for several years before his death, numbered hardly any other full members representing this branch of art. In his early practice he set an example, then much needed, of diligent study of nature out of doors, painting on the spot all the substantial part of several of his pictures. English and Welsh streams may be said to have formed his favourite subjects, and generally British rural scenery, mostly under its cheerful, calm and pleasurable aspects, in open daylight. This he rendered with elegant and equable skill, color rather grey in tint,especially in his later years, and more than average technical accomplishment; his works have little to excite, but would, in most conditions of public taste, retain their power to attract. Creswick was industrious and extremely prolific; he produced, besides a steady outpouring of paintings, numerous illustrations for books. He was personally genial, a dark, bulky man, somewhat heavy and graceless in aspect in his later years. 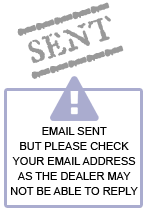 He died at his house in Bayswater, Linden Grove, after a few years of declining health. 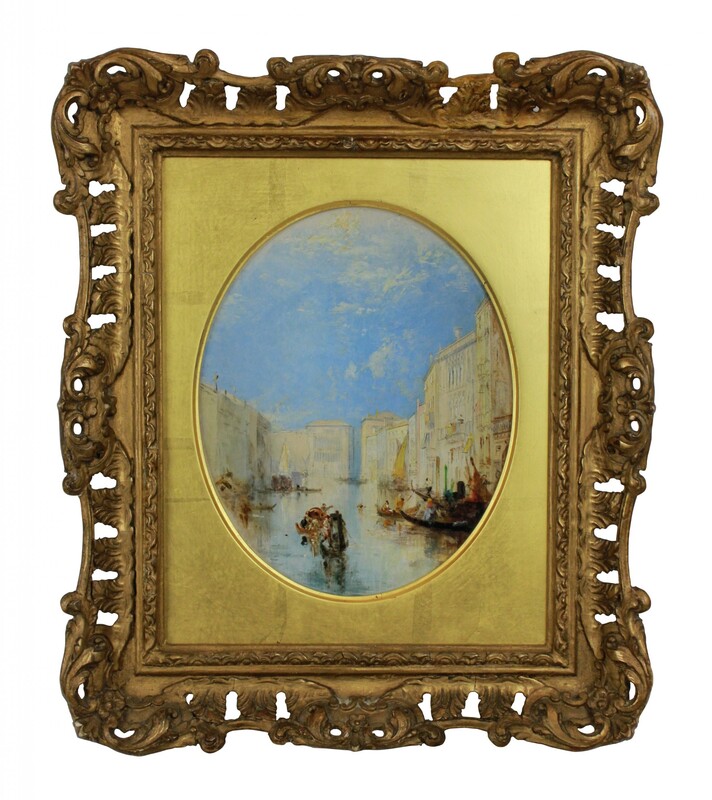 The The Grand Canal, Venice By Thomas Creswick RA has been added to your saved items.